Indian retailers have to pull up their socks and their competitive capabilities will come from going back to basics in retail, says Kumar Rajagopalan. Retail giant Walmart has entered India by investing a whopping $16 billion in Flipkart. 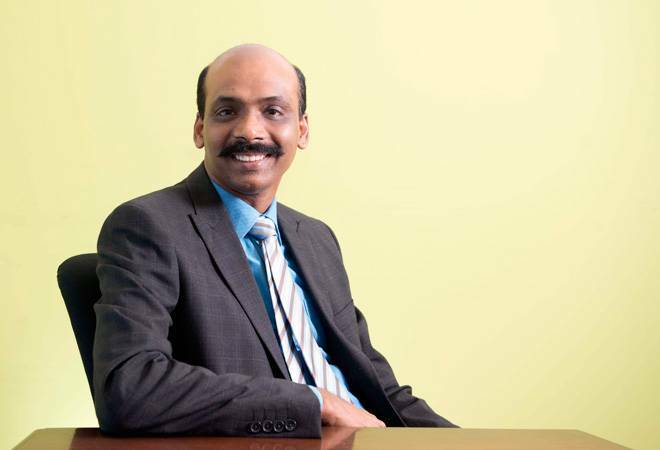 With global retail biggies coming into India, Retailers Association Of India CEO Kumar Rajagopalan tells Business Today's Ajita Shashidhar that the government hasn't done enough to protect the interests of Indian retailers which is a reason to worry about. Walmart has entered India despite the Government not allowing FDI in multibrand retail. Isn't it high time FDI in multibrand retail is allowed? As a country we have everything going for us. We have had consumption and consumers, the best growing GDP in the world, we also have diversity which creates capability to have a flair of items for our customers. We have good policy drives such as GST, we have had decent drives in terms of payment systems. But we lack an understanding of retail. We have one of the most complex FDI laws with no understanding of Indian retail business or a focus of how to help Indian retailers grow. There is absolutely zero focus on enabling Indian retailers to grow. What was needed was a clear policy to enable retailers to grow in terms of funding. If you allow for level playing field in terms of funding, it allows retailers to do lot of things. There should have been schemes for smaller retailers, to allow them to access funds at a much better rate. When retailers grow they can't buy every property where they open their store in, therefore, they need to rent the property. The government either needs to create shops and entertainment zones or they allow for funding of setting up of a store, which means the fixtures, the furniture, the air-conditioners, which is a significant amount of money. Retail business has the highest number of employment per sq.ft. as compared to any other industry. What is the biggest flaw in the current policy? The government should have told the retailers that they are expected to be globally competitive and it should have supported them to be globally competitive. Instead of the FDI policy focusing on brands coming from outside of the country, we should have been giving impetus for Indian brands to be able to become global. China has consciously given support to their own businesses, allowed them to compete globally. In India we have done exactly the opposite. We told our retailers that you are poor, we will create protectionism policies for you which effectively is not protectionism. It was a policy that allowed leakages, it allowed for some guys to come in a round about manner and create competition at a large scale. We have not allowed for small kids to grow but allowed the outsiders to come and fight with with the small kids. We have small kids fighting with large professional wrestlers from outside of the world. That's the unfortunate situation. Are we going to allow valuation to be created in the country and retail in the country or are we allowing for valuation to be created in the country but not retail in the country. That is what we have landed ourselves into, a very myopic method of understanding retail. The amount of time that was spent meeting global businessmen, if the same amount of the time was spent meeting Indian businessmen, we would have understood retail better and created a better environment. We have not created good retail brands in the country. It's happened by default and not by design of the government. We are not giving importance to people who are really making India which are the Indian businessmen. This has curtailed their ability to get global finance, technical knowledge. We have not learnt lessons from banking and insurance, these industries could have never been where they are today if they were not given stepped up method of getting foreign capital. We have not encouraged creating a competitive environment in Indian retail. How challenging would it be for the domestic retailers with the foreign biggies coming in? Indian retailers have to pull up their socks and their competitive capabilities will come from going back to basics in retail. Ask any of the retailers in India, if they have a good click and collect model, I doubt how many of them can raise their hands. If you ask them how many of them can really utilise their power of endless aisles because of omni-channel methodologies, there aren't enough who can raise their hands. Ask any retailer what is the level of availability in your stores, not too many can raise their hands. There are exceptions however, who understand basic retail, that it is about attraction, assortment or availability of assortment. These retailers are getting valued, the others are only talking. If you have not pulled up your socks and created availability and created brands and worked on the data that customers are giving you, the outsiders will come and take it away.